We take an approximately one pound potato (yes, you read that correctly) which is then covered and baked in salt. This gives it a distinctive crisp jacket and a fluffiness on the inside. 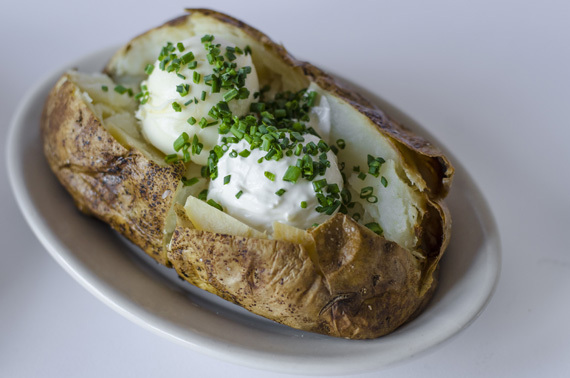 Have our potatoes au natural or add a variety of toppings, if you like—sour cream, chives, butter, bacon or cheese are available. Outstanding food, great service, and THE spot for any special occasion right now. Also a great bar scene and separate bar menu.